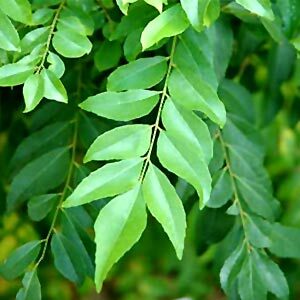 Curry leaves: Incorporating curry leaves into your daily diet can help you lose weight. These leaves flush out fat and toxins, reducing fat deposits that are stored in the body, as well as reducing bad cholesterol levels. If you are overweight, incorporate eight to 10 curry leaves into your diet daily. Chop them finely and mix them into a drink, or sprinkle them over a meal. Moong dal: The bean sprouts are rich in Vitamin A, B, C and E and many minerals, such as calcium, iron and potassium. It is recommended as a food replacement in many slimming programmes, as it has a very low fat content. It is a rich source of protein and fibre, which helps lower blood cholesterol level. The high fibre content yields complex carbohydrates, which aid digestion, are effective in stabilising blood sugar and prevent its rapid rise after meal consumption. Honey: It is a home remedy for obesity. It mobilises the extra fat deposits in the body allowing it to be utilised as energy for normal functions. One should start with about 10 grams or a tablespoon, taken with hot water early in the morning. Millets: Fibre-rich foods such as millets - jowar, bajra, ragi, etc - absorb cholesterol and help increase the secretion of the bile that emulsifies fats. Cinnamon and cloves: Used extensively in Indian cooking, the spices have been found to improve the function of insulin and to lower glucose, total cholesterol, LDL and triglycerides in people with type 2 diabetes.